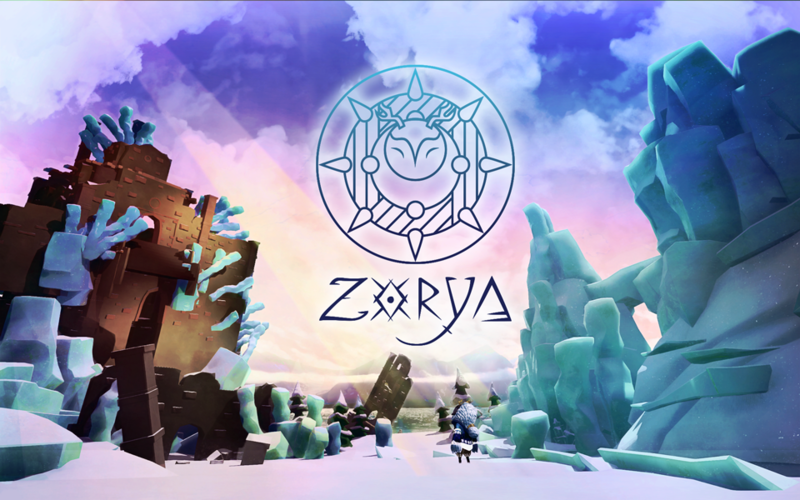 Zorya is a video game developed for the Concours Universitaire Ubisoft Game Lab Competition 2017 with Polytechnic and NAD School. Our mandate was to conceive a playable prototype in 10 weeks, with various technical constraints, and the theme "Playing with the Time". Zorya won the awards "Best Creativity and theme's integration", "People's Choice Awards" and "Best prototype". It was also nominated in 4 others categories. Zorya is an asymmetrical experience for two players in a world where two divines sisters work together to bring back the night to a sleepless world. Child of the night, Aysu can only survive in the shadows. Deity of the day, the benevolent Solveig can control the time of day and possess an omnipotent view on the world. Teamwork is key in this adventure. Players need to work together to solve the puzzles, interact with the environment and defeat their enemies. This prototype contains six levels to the players, all featuring a new aspect of this unique concept and increasing the complexity of the puzzles for a play sessions of 15 minutes. Download and launch the game on two computers and connect via IPv4. its a great game but me and my friend were having big lag issues. if you could make it to where you could tone down the graphics to make it smother that would be great. Thank you! We really focused on the art of the game when working on it.